Who cares if a dash is included in your brand name? Brand awareness drives traffic, and in an era of social media campaigns, a dash is not an issue – or a new gTLD for that matter. We came across a dashed domain name “in the wild,” as we drive around town. Whether it’s a dot .COM or a non-COM domain, we take photos only when we’re completely stationary. 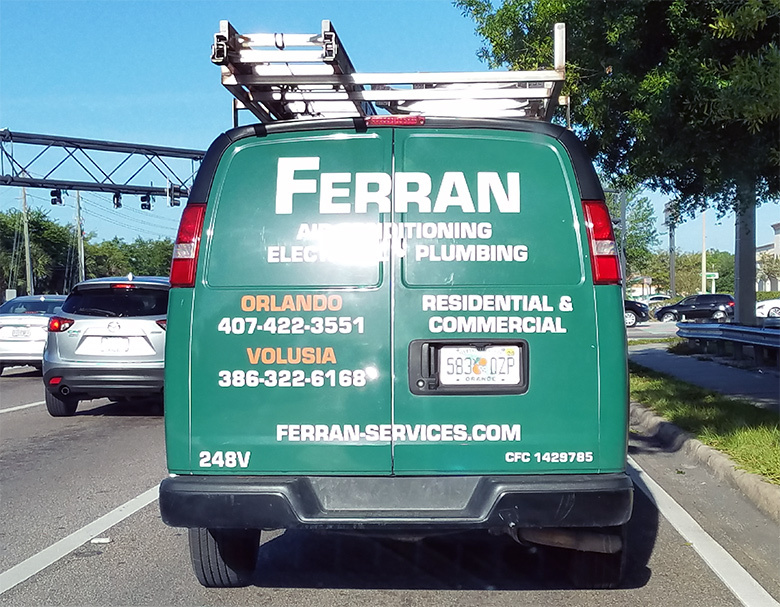 Today it’s about Ferran Services, a well-established Orlando company that operates from Ferran-Services.com, a domain name registered in 1999. The non-dashed variant is owned by Huge Domains but clearly Ferran Services does not need it.